The World Wide Web Consortium, who do web standards, and the Australian National University, are conducting a roadshow on "Future of the Web: Who is managing your privacy and identity on the Web? ", in Melbourne 14 Feb, Sydney 21 Feb and Canberra 22 Feb 2019. This features Marcos Cáceres, co-Chair of the W3C Web Platform Working Group and the Web Platform Incubator Community Group and Dr Lesley Seebeck, CEO of the ANU Cyber Institute. Since 2008, I have been using a Huawei D100 3G Router with a USB wireless modem supplied by Virgin for travel. The router is pocket size, with a slot to hold the modem and I have been powering it from USB on my laptop. But Virgin are discontinuing their mobile service in Australia. I only use a tiny fraction of the amount of data I am paying for, so it was time to look for a new plan. My current USB modem is locked to Virgin, and I had no easy way to find the code needed to unlock it. So I purchased a Huawei E8372 from Australia Post (on special for $19.95). This is branded a Tesltra 4G USB+Wi-Fi 4GX modem. 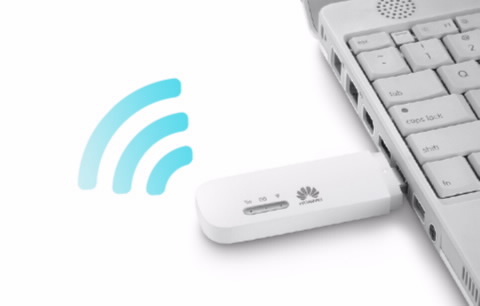 This device is a Wingle: Wifi equipped USB modem dongle. I would have preferred a simple dongle I could plug into my existing router, but could not find one for sale. The Huawei E8372 has Wi-Fi and doesn't need an add-on router. I tried signing up with the Telstra SIM which came already installed in the modem. However, Telstra did not have the address on my driver's license in their database, and while it appeared to accept my passport details, I never received a conformation e-mail and was not able to use the service. Belong have plans with unlimited throttled data (at 64Kbps). That is, rather than being charged extra, or having the service suspended, as other providers do, Belong slow data to 64 Kbps. This looks useful for occasional lite use. So I tried a Belong SIM, but the modem then asked for an unlock code (despite Belong being owned by Telstra). So I called Telstra for an unlock code. After going through a few automated steps I was put through to an operator who checked the IMEI number (from the back of the modem box: don't throw the box away). The unlocking cost $25, but curiously the operator would not accept payment over the phone. Instead I went to the Telstra website, paid the money and read them the receipt number. The operator then gave me the unlocking code, which I entered and which worked. With the router unlocked I had to add a profile for Belong. The only change needed was APN: mdata.net.au. The Wingle has advantages over a pocket router and dongle. The Wingle is much smaller and consumes one third the power (1 Watt, versus 3 Watts for a router and dongle). All the configuration settings are in the Wingle and it just needs power from a USB socket to operate (no configuration in the laptop is needed). However, the wingle is slightly fatter than the dongle and I can't use the adjacent USB socket, without using an extension cable. Something I noticed was that when I plugged the Wingle into my laptop (running Mint Linux), it switched from WiFi to USB for data transfer. I did nothing to enable this switch, it happened automatically. I also needed a wired Ethernet connection occasionally. The simplest way to provide this was a router configured in "Client Mode". I used a TP-LINK TL-WR802N Mini Router, connected to the modem via WiFi. 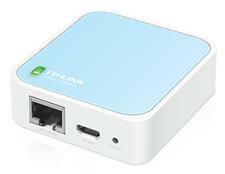 This unit is matchbox sized, and comes with a short Ethernet cable, a USB cable for power and mains adapter. If I needed a permanent wired connection, I could have used a router with a USB socket for the modem (such as the TP-Link TL-MR3420). ps: Several days after trying, and failing, to sign up with Telstra, I received an email "welcoming" me to their service. This is far too late. I have asked them not to send any more emails, as I am not their customer.